Can You Put Cryptocurrency in Your IRA? How’s your 401(k) or IRA doing? A typical 401(k) plan returns from 5% to 8% based on a portfolio of 60% stocks and 40% bonds and other conservative investments. If your retirement plan is not meeting expectations, you may be tempted by the high returns of cryptocurrencies like Bitcoin – but should you be wary of incorporating cryptocurrency into your account? 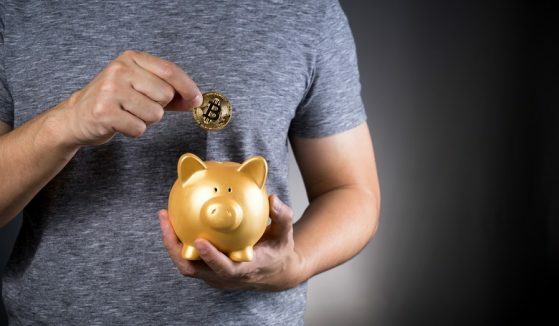 A recent survey by the retirement planning platform Auctus suggests that people are increasingly intrigued by cryptocurrencies. While only 6% of respondents were willing to consider using cryptocurrencies in their retirement plans, another 14% were interested in the concept but not certain that Bitcoin or similar vehicles were right for them. Given the exceptional roller coaster ride of Bitcoin, who could blame investors for being interested? Consider that Bitcoin closed January 2017 at just below $1,000. By mid-December 2017, Bitcoin peaked over $19,300. By February 5, 2018, the price dropped below $7,000. Few investments grow by a factor of 19 in less than a year. Not many investments lose over 60% of their value in two months’ time, either. Retirement accounts are designed to balance returns and risk, with the balance shifting toward lower risk investments as you near retirement. Bitcoin and other cryptocurrencies are on the far end of the spectrum – high risk, high reward. Can you tolerate the potential risk? Let’s assume you want to forge ahead with a cryptocurrency investment. Retirement account fund rules don’t allow you to purchase cryptocurrencies directly and transfer them to an IRA or 401(k) account. You will either have to create a self-directed IRA that allows you to set up your own investment, or invest in the Bitcoin Investment Trust that owns Bitcoins on the behalf of its investors. Both approaches come with hefty fees compared to other investments. In addition, most of the self-directed IRA custodians will require that you have another company make the cryptocurrency purchases for you or create a legal entity such as an LLC that allows you to invest directly. Consider these issues as you make your investment decision. You always have the option to buy and sell Bitcoin through the existing exchanges and keep it in a taxable account separate from your retirement accounts. Since virtual currencies are considered to be property, they are taxed at the lower capital gains tax rate – so there can be tax advantages to this approach. Cryptocurrencies in retirement funds may make sense in a few cases. If you are young and can afford to recover from any significant losses, why not try to take advantage of a sharp rise in Bitcoin or similar investment? Keep your purchases below 10% of your portfolio – less if you can’t deal with the potential risk. Meanwhile, if you are nearing retirement and can’t possibly catch up with a conventional portfolio, you can try for a “Hail Mary” with a Bitcoin investment – but understand that you will be in even worse shape if your purchase is mistimed. What are your retirement options if the investment fails? Keep risk in perspective and fit any Bitcoin purchases into the small number of high-risk components of your portfolio. If you are investing in one of the Bitcoin alternatives such as Ethereum, Litecoin, or Ripple, make sure you investigate the program just as you would any stock investment. Understand the risks and growth assumptions. For most of us, cryptocurrencies are like a trip to a casino. Don’t invest any more in cryptocurrencies than you can afford to lose – and few of us can afford to lose retirement account funds. Bitcoin vs Ethereum: Which One Is Better for Mining? Bitcoin: Buy, Sell or Hold? What Happens When There’s No More Bitcoins to Be Mined? Should You Still Consider Investing in Bitcoin? Does Ethereum Have a Chance of Usurping Bitcoin? By Money Tips|May 3rd, 2018|Categories: Personal Finance Tips|Tags: 401k, Bitcoin, Cryptocurrency, IRA, Retirement|Comments Off on Can You Put Cryptocurrency in Your IRA?